About us – Emactra Machine Industries India is a leading manufacturers and exporters of industrial presses. EMACTRA among Indiaâ€™s leading manufacturers and exporters of industrial presses. 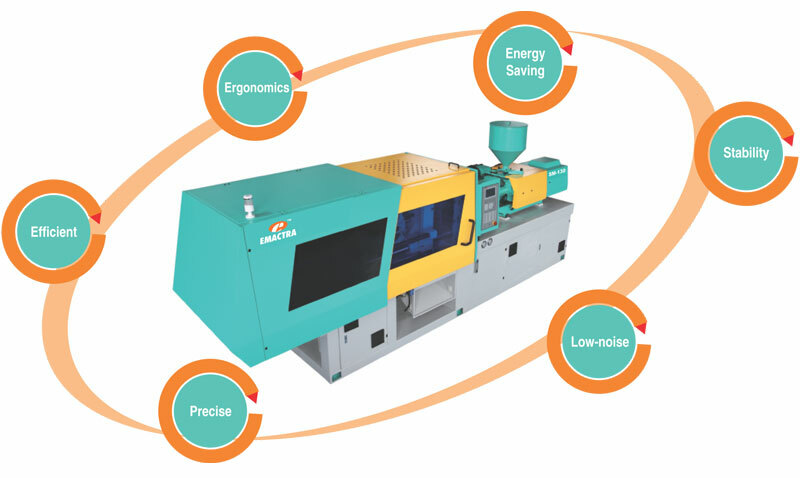 The product range consists of hydraulic presses, compression molding presses, deep drawing presses, transfer & injection molding presses, vacuum molding presses, plastic injection molding machines, scrap baling presses, SMC molding presses, etc. The products are either supplied as stand-alone systems or complete on-site system installation is done on turnkey basis. The company also provides spare parts as well as regular after-sales-services. Established in the year 2008,EMACTRA has strengthened its share in Indian and overseas markets by judiciously using its resources, ethical business practices and aggressive marketing strategies. With business acumen and professional excellence, the company aims to attain and retain the position of leadership by developing highly innovative and functional technologies indigenously. But while doing so, the company remains committed towards the cause of environment by adopting Eco-friendly measures. INNOVATIVE ENTERPRISES never relishes on past laurels and accolades and consistently pushes the limits beyond the imagination to ensure customer delight â€“ each time and every time. The company seeks to achieve it desired objectives by investing in advanced technologies, recruiting compatible human resources, creating brand imaging and remaining in the state of customer obsession. Precisely, Santec Group vouches to meet the unique needs of its customers by benchmarking quality and customer services.